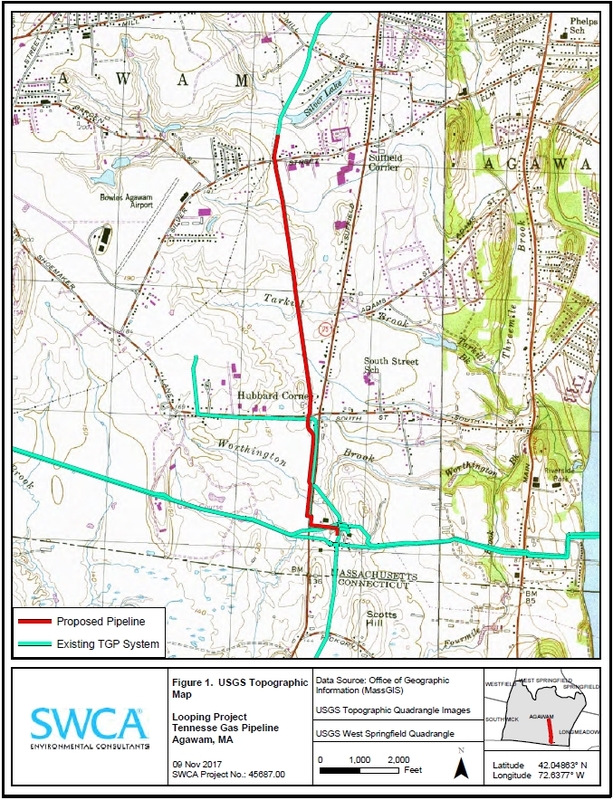 Tennessee Gas Pipeline has proposed the “261 Upgrade Projects” which consist of the Line 261B Pipeline Looping Project and the Compressor Station 261 Horsepower Replacement Project in Agawam. The Looping Project includes 2.1 miles of 12-inch-diameter loop to be installed on Tennessee’s existing 261B-100 pipeline. The majority of the loop will be located within Tennessee’s existing pipeline corridors and will replace an existing inactive 6-inch-diameter pipeline where feasible. The HP Replacement Project involves removing two existing older units (a Solar Saturn installed in 1965 and a Solar Centaur installed in 1991) and installing a new Solar Taurus 70 unit. 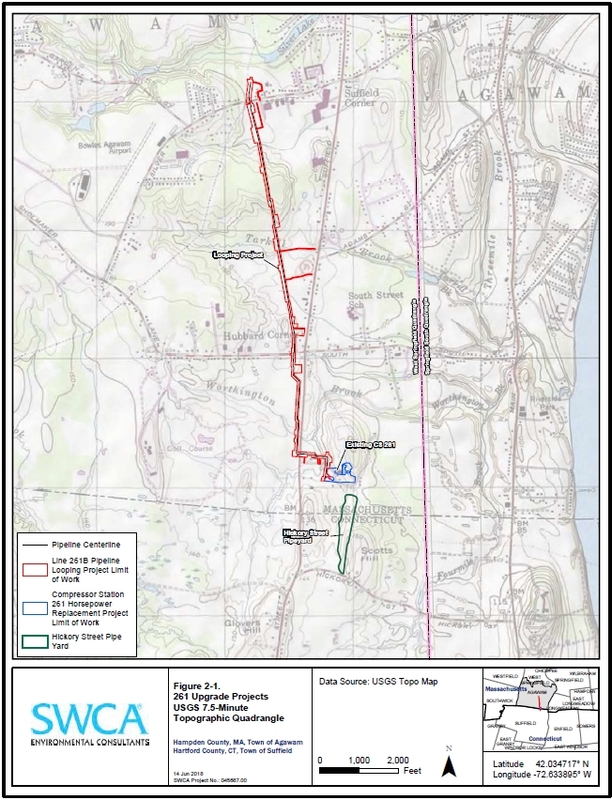 This design will provide higher pressure into the 10-inch 261B-100 pipeline, and will increase the operational reliability to serve Holyoke Gas & Electric customer. August 17, 2018 – EEA Certificate issued, requiring a draft and final EIR (Environmental Impact Report), rather than only a single EIR as requested by TGP. (All comments submitted on the EENF are attached at the end of the certificate.) EEA also is requiring TGP to include its proposed Longmeadow meter station in the draft EIR. The release date of the draft EIR is in TGP’s hands. Once the draft EIR is released there will be a 30-day public comment period.